Qeerransoo Biyyaa blogged about the Oromo American Citizen Council’s 4th Annual Human Rights Conference held at the University of Minnesota. The conference, themed “What is Next for Oromo People?”, which was also televised live by Gadaa and Opride.com, featured panelits representing different Oromo political organizations. It was the first of its kind to bring Oromo leaders from divergent political views. The entire video presentation from the conference will be available on Opride Videos page soon . Qeerransoo Biyyaa blogs over at OromoPress.blogspot.com. There is no Ethiopia without Oromia, yet the empire continues to oppress the Oromo people,” said a group composed of prominent Oromo political, religious and academic leaders at an international conference on human rights organized by the Oromo-American Citizens Council, a Minnesota civil society organization established to raise awareness and to advocate against human rights abuses in Ethiopia on behalf of an estimated population of 15,000 Oromo living in the State of Minnesota. 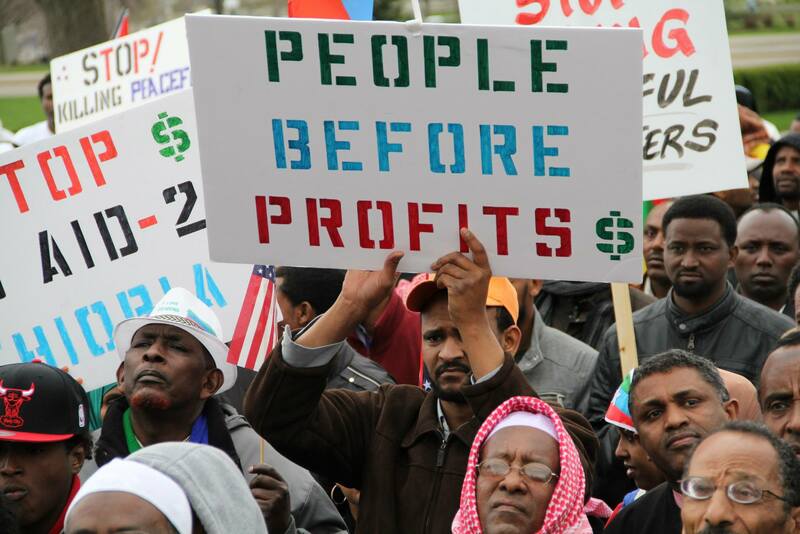 “Justice for Oromo people is a question of access to state power and the exercise of equitable power,” said Rev. 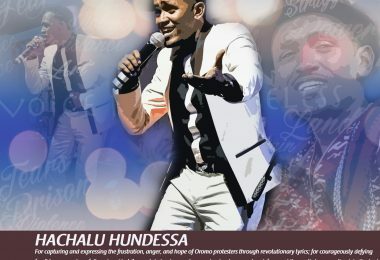 Dr. Gemechis Buba, president of the Worldwide Union of Oromo Evangelical Churches. Rev. Dr. Gemechis Buba said there was no war in which Ethiopia did not participate. Apart from its internal internecine wars, he said Ethiopia participated in the Colonial War, the World Wars, the Korean War, Cold War, Ethio-Eritrean War, and Darfur War and Somalia War. He stressed that most of the leaders of Ethiopia were deposed and killed and there has never been a peaceful transition to power in the country as result of a long-standing belligerent culture of Ethiopian ruling groups. The Reverend pleaded with Oromo political groups about the dire need for a shift in paradigm in the Oromo national movement. 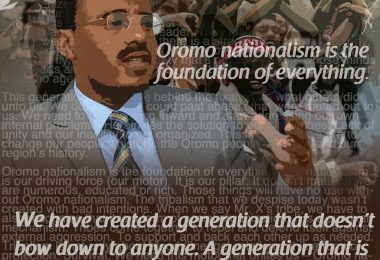 He said because tens of ethnic groups share long-stretching borders with Oromia, an independent Oromia is infeasible as that will lead to the demise of Ethiopia as we know it, hampering the security and economic development of future Oromia. Dr. Merera Gudina, Chairman of the Oromo People Congress and leader of the main Ethiopian opposition coalition Medrek, spoke metaphorically, saying that there are many ways to “heaven”. He called on Oromo elites to unite and cooperate or desist from rivalry where there are disagreements on political programs and methods for achieving freedom for the Oromo people. Dr. Gudina expressed that he would rather do something by participating in the May 2010 Ethiopian legislative elections than give up everything to the “almighty” ruling party and merely complain about national repressions. “Mobilizing the Oromo people without clear action-plan and unity of Oromo political groups will expose Oromos to dangers and killings like it did in the 1990s,” warned Reverend Dr. Gemechis Buba. Another panelist, Dr. Fido Ebba of the Oromo Liberation Front blamed the U.S. for its continued support for the current Ethiopian government, including for allegedly providing military training to the Ethiopian Army, despite Ethiopia’s disturbing human rights records. Some of the panelists made the case for the need for a paradigm shift in the Oromo national movement toward a struggle for an all-inclusive multinational democracy and genuine federalism or self-administration of regional states in Ethiopia. However, it remains to be seen if the right-wing conservative Ethiopians and the ruling government reach out to and embrace the Oromo people as much as the Oromo elites at this human rights gathering did. Asafa Jalata : What is Next for Oromo People?